Homeschooling is the most flexible and diverse educational option available today. The variety of homeschooling styles reflects the diversity of the people who choose this method. Some families organize their homeschool the same as a traditional school with the children studying the same subjects the same way as public school students. Some families use the opposite approach and “unschool” their children – a far less structured approach where the children’s schedule is determined by their interests and readiness. Most homeschoolers, however, use an eclectic approach that is partly structured and partly interest-based. This method allows parents to pick and choose the classes and materials that meet their children’s needs. These may be college or co-op classes, pool teaching, charter schools, independent study programs, apprenticeships, volunteering, and a host of options. Homeschooling is as unique as you are. Q: What types of families homeschool their children? 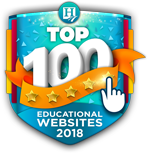 Although homeschoolers are often stereotyped as hippies or religious fanatics, most homeschoolers are just normal parents who have decided to take charge of their children’s education. Homeschoolers are everywhere and come from all walks of life. They live in cities, in the suburbs, and in the country. They are doctors and janitors and public school teachers. Some homeschoolers have strong religious beliefs and some are nonbelievers. 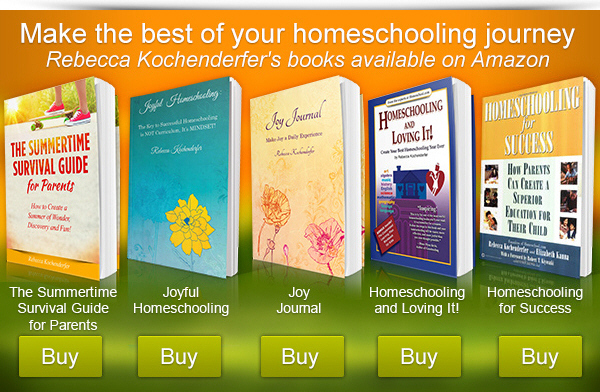 Homeschoolers are just like you. Homeschooling is legal in all fifty states and throughout Canada. Homeschooling is also becoming increasingly popular in Australia and New Zealand. However, every state and province has its own laws regarding homeschooling and some are more “friendly” than others. Some homeschooling laws merely require you to let your local school district know that you will be homeschooling your children. Some laws require you to fill out paperwork as if you were a private school. If you are considering homeschooling, you will need to get information on the current laws in your area. State or local homeschool groups are often the best source of information. A member of a support group in your state can advise you on how to register as a homeschooler in your state. Q: How much does homeschooling cost? Depending on the choices you make, homeschooling can cost either a little or a lot. Generally, you can assume that homeschooling costs more than a public school education and less than a private school. If you had to, you could homeschool practically for free using public resources like libraries, PBS shows, museums, the internet, and hand-me-down educational supplies. In general, homeschooling costs more if you use a complete boxed curriculum (like Alpha Omega or Abeka) or sign up with an independent study school (like Laurel Springs or Keystone). Also, homeschooling costs tend to be higher for teenagers than for elementary school students. Since many homeschool teens also take college classes, you will have to factor that into your educational budget. You will also want to budget additional funding for extracurricular activities such as soccer, gymnastics, martial arts, piano lessons, and the like. 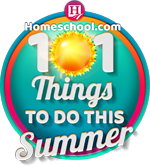 Since homeschooled children have more time, they tend to participate in more of these activities. Q: What are the advantages of homeschooling? For many homeschoolers, one of the greatest benefits of homeschooling is the strengthening of family bonds. 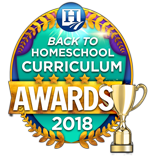 Homeschooling families spend lots of time learning and playing together and this naturally creates close ties between brothers and sisters and between children and parents. Homeschoolers also have a great deal of flexibility in how and what they learn, allowing them to learn about the “real world” by being part of it. These advantages allow homeschooled children to receive a superior education that is attuned specifically to their own needs, learning style, personality, and interests. Q: What are the disadvantages of homeschooling? 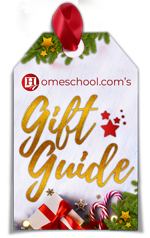 According to homeschoolers’ feedback on Homeschool.com, the biggest disadvantage facing the homeschooling family is loss of income. Someone must be home, at least part-time, to facilitate the children’s learning. At a time when it can often be difficult to get by on two incomes, it can be a real challenge to get by on just one. Some of the other difficulties facing homeschooling parents include lack of confidence in their own and their children’s abilities, public and/or family criticism, and adjusting career goals and work schedules to accommodate the needs of the family. One last challenge humorously cited by homeschoolers is that of housekeeping. When you use your home full-time for homeschooling (and in some cases even for work), things can get a bit messy. But don’t worry, those books piled high on the coffee table, the science experiment on the table, and the art project in the patio are all signs that your child is learning. Q: How are homeschooled students doing socially? It used to be that if you announced that you were going to homeschool your children people would ask you, “How will your children learn anything?” Now that fears have been put to rest regarding homeschoolers’ academic achievement, the most commonly asked question is, “But what about socialization?” The assumption is that children will not learn to get along with others and will not develop good social skills unless they go to school. However, several studies have been conducted over the years that show that homeschooled children are more self-confident and less peer dependent than traditionally schooled students. Many people believe that homeschoolers spend all their time around the kitchen table, but that simply is not the case. Since homeschooled students do not spend six hours a day in a classroom sitting behind a desk, they have more time to participate in activities outside the home like music, sports, and Scouts. Also, whereas schoolchildren rarely have the opportunity to interact with children who are not the same age, homeschooled children interact with and learn from people of all ages, genders, and interests. Q: Will my child be able to get into college if they are homeschooled? Homeschoolers are accepted and recruited by some of the top universities in the country because of their maturity, independent thinking skills, creativity, and strong academic preparation. As was previously mentioned, homeschoolers perform above average on the ACT. Success on the ACT test reveals that the courses taken by high school students to prepare for college have been effective. Homeschoolers also placed highest on the SAT college entrance exams, higher than private and public school students. In addition to academic success, homeschoolers have had athletic success in college. Coaches are recruiting homeschooled athletes. In 2001, the National Collegiate Athletic Association (NCAA) declared about 100 homeschooled students eligible for athletics as freshmen at major universities – up from 85 the year before. An article in TIME magazine on September 11, 2000, reported that 26% of 35 homeschooled applicants had been accepted into Stanford University’s 2000-2001 freshman class. This is nearly double the rate of overall acceptance. Q: Will my children be able to succeed in the "real world" if they do not go to school? The bottom line is this: homeschoolers already live in the real world. The idea of “entering the real world” really only applies to schoolchildren who have been isolated from the real world for 12-13 years. Because homeschoolers spend so much time in the real world, they are able to communicate well and get along with both adults and children. They even get along with their siblings, and it is common for homeschooling families to receive positive comments about their children’s strong, warm sibling relationships. Q: Can I homeschool if I'm overseas? Homeschooling is growing in popularity around the world, particularly in Australia, New Zealand, and South Africa. Still, homeschooling originated in the United States, and because of that there are more homeschooling resources and opportunities available in America than anywhere else. If you are an American living overseas, you can use an American independent study program to help you while you are away. If you plan on living overseas for an extended period of time and your child is in high school, you may want to consider participating in the international baccalaureate program, which gives your child an international diploma that he can use for admittance to some of the finest universities in the world. Q: How Can I Prevent Summer Slide? Preventing Summer Slide is the end game in a process that should do much more than preventing something. Promoting summer learning through wonder and becoming a lifelong learner is the anticipated result… and if we prevent summer slide in the process that’s an extra BONUS! See below for the 7 aspects of our summer slide prevention.